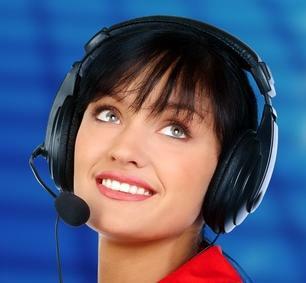 We changed service to Excellent Answering Service (EAS) almost immediately. We have been quite happy, and assured knowing that our tenants, vendors, family etc will be treated as we would treat them, with the same courtesy, respect, and responsiveness. We highly recommend EAS to anyone who requires the services of a live operator and answering service. If you want your clients; those calling your business to be treated with the utmost respect and due diligence that you desire to be treated with when we are not available; then you need EAS. We as property managers have a unique set up that EAS has very easily and most efficiently been able to work with. Between answering our after hours calls from tenants, emergency dispatchers, then dispatching those calls to their appropriate party or engineer or 911 service. We are most pleased with their service. I have had several answering services over the years and I can tell you that Excellent Answering Service has surpassed them all. They have met and gone beyond my expectations of a quality answering service. Not only have they shown me professionalism and dedication, they have also shown my patients common courtesy as well. Additionally, our administrative staff had the opportunity to tour their state-of-the-art facility, meet with their highly qualified staff, and returned very impressed with both the facility and their staff. I would highly recommend them to anyone and beileve that they would have a positive impact on your business. You will be pleased! Dr. Isabel Mathieson , D.O. To read more great testimonials click here!